Main features of authoring tools. Centralized content repository: this allows you to reuse contents and materials (or part of them) in different sections or courses. Creation of learning objects through templates: authors will no longer have to worry about the purely graphic and esthetic aspects of the course on the users' end. Thanks to a wide-ranging choice of templates, there is no need for any page-creation processes (while content security and compatibility are guaranteed). All templates are responsive. Standard content: with DynDevice you can create SCORM™ packages which are 100% compatible with the most popular e-Learning format. Maximum usability: Both content generated with DynDevice and its management windows are available on mobile devices such as smartphones or tablets such as Apple iPad™ or Samsumg Galaxy™, as well as all desktop and laptop computers. 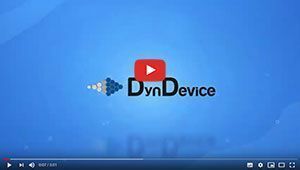 Using DynDevice is extremely simple and intuitive: moreover, all windows are equipped with analytical live assistance which follows and helps users with all the features in real time.